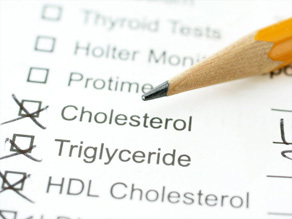 HDL, LDL, lipoproteins, Oh my! But seriously, there’s so much talk about cholesterol and how high cholesterol can be detrimental to your health, but what is cholesterol?? HDL? LDL? Anybody? It’s time to take a long look at what cholesterol actually is and how it functions in your body. In living a healthy, primal life, especially in such a crucial time in your life such as college, developing and eventually maintaining healthy cholesterol levels can be one key to a long and happy life. Cholesterol is involved in a whole host of functions in your body including creating hormones, vitamin D, and other substances that help your body digest foods. There is also cholesterol in some of the foods that we eat. The story of cholesterol begins in blood. Cholesterol travels through your bloodstream in lipoprotein packages (biochemical assemblies of both lipids on the inside and proteins on the outside). There are two types of lipoproteins: low-density lipoproteins (LDL) and high-density lipoproteins (HDL). While LDL is usually painted as “bad cholesterol,” maintaining healthy levels of both LDL and HDL is important to an overall healthy body. The reason LDL is often targeted as bad for you is because high levels of this stuff can lead to a build up of cholesterol in your body. Higher HDL levels are sought after often because they are responsible for carrying cholesterol from other parts of your body back to your liver, where it can be removed. But we cannot be afraid of cholesterol. The rise in the cholesterol panic is one with mysterious origin. There is great confusion in where the idea came from that fat is the MAJOR player in rising cholesterol levels. But ladies and gentlemen, I give you two far better causes of increased cholesterol in your body: inflammation and free radicals. I recently watched a fantastic movie called “In Search of the Perfect Human Diet” (and I highly recommend you buy it!!) which describes CJ Hunt’s journey through human evolution and modern scientific advances to find that a Paleolithic eating style is actually the best way a human can eat. The evidence he puts out is not subjective nonsense, it’s scientific fact. And one of the major points he brings up in the movie is that grains and sugars are the leading causes of inflammation in the human body. Before about 10,000 years ago, this type of inflammation was not even seen in our ancestors. The diet that for millions of years consisted of animal proteins and green plants and berries gave humans an almost perfect ratio in terms of inflammatory versus anti-inflammatory foods. Inflammation is one of the leading causes of rises in LDL levels and consequently, a rise in cholesterol. So next time someone says, “Ew, why are you eating so much fat, you’re gonna get fat,” let them know that carbohydrates [and trans fats] are the true leaders in weight gain. These are the reason why we want to consume so many foods with “anti-oxidant” abilities. If you haven’t heard of anti-oxidants, you’ve never watched the news. Free radicals form when weak bonds between atoms are broken. They are extremely unstable and search for the closest available source to gain an electron to stabilize itself. Anti-oxidants work by donating one of their electrons to the floating free-radicals, thereby eliminating the free-radical’s need to steal electrons from other molecules floating around. Some examples of anti-oxidant rich foods are: veggies and fruits, of course, as well as nuts and olive oil. Now, the reason free radicals connect to cholesterol is because most studies suggest that LDL is only a threat when it is oxidized. This oxidation occurs due to, you guessed it, free-radicals! So we know what these acronyms mean now, but where are they in our foods?? HDL is often found in fish, nuts, olive oil, and foods with a solid amount of soluble fiber. LDL is commonly found in oils that have been saturated with hydrogen atoms such as palm oil, palm kernel oil, as well as in certain cuts of fatty, grain-fed meats. First of all, there’s no reason to panic about cholesterol levels if you are young and relatively healthy (unless you’ve been diagnosed with a condition). This information is given only to provide you some background as to what LDL and HDL are and how they relate. The main idea here is not to freak out over cholesterol and to understand that maintaining true heart health relates far more to inflammation than it does to cholesterol monitoring and/or maintenance. With a healthy Omega-3 fatty acid-rich diet, you can almost guarantee yourself ideal heart health. Oh, and whoever said eggs yolks will spike your cholesterol and are just all around bad for you . . . they’re wrong. A study by the Yale-Griffin Prevention Research Center in Connecticut found that daily egg consumption was actually beneficial and non-detrimental to endothelial function and serum lipid levels in adults. Grab some eggs, fish, and tons of fruits and veggies and don’t worry so much about your cholesterol! Just want to point out something about the Yale study you posted. The research was done on 40 hyperlipidemic adults about 60 years old (on average), with a standard deviation of about +/- 10 years. Hyperlipidemia is a condition in where blood lipid levels are higher than normal. There is no group tested that does not have this condition; there are no healthy adults being tested. Also, most of the participants in this study were in their senior years. I just don’t think this is a good representation of how cholesterol can be affected in a healthy teen/young adult, which is who this blog is targeted towards. I’m not saying that there’s no proof that these results can’t be seen in a healthy, younger age group, I just don’t think you can infer that from the specific data you presented. Sammy, you are right that this study was done on that specific group, as most studies take a specific group of individuals to study. So obviously you can only take certain things from this study, but as you said, there are other studies that have been done and are being done currently on younger children and adults. It’s hard to have 1 study that gives a general conclusion about such a complex issue. So clearly, I agree with you, we must look at a variety of data points and studies to see the most valid results.